The Labours of Hercules was perhaps an odd choice for the penultimate instalment of Agatha Christie's Poirot, a rather dark rendition of elements from the book of the same name,which in fact brings together a dozen collected short stories. The screenplay by Guy Andrews was well-crafted, especially given the challenge of the task facing him. The production was atmospheric and the cast (as ever) impressive, with Simon Callow really enjoying himself, though the story almost inevitably lacked the tight-woven texture of the best Poirot mysteries. All the same, it's been quite a week for Christie fans. The CWA celebrated 60 glorious years on Guy Fawkes Night with an event at Foyles, announcing the results of its "Whowunnit" poll of members. And Christie was voted best ever crime novelist, and her The Murder of Roger Ackroyd was best detective novel. Best detective was Sherlock Holmes, and given that Poirot, in his early days, was rather derivative of Sherlock, this seems fair enough. Unfortunately, due to pressure of work, I wasn't able to make it to London for this event, but I agree with the view expressed by Alison Joseph, chair of the CWA, that the result reflects the long and distinguished history of crime writing. There are those who argue that the likes of Jo Nesbo (good writer as he is) should be ranked with the all-time greats, but it's very difficult to make a sensible evaluation of the potential longevity of present day best-sellers. Some of the stars of previous generataions simply haven't lasted well (a great shame, in some cases.) Anyway, the best of Nesbo and other writers of today may still be to come. Christie and Conan Doyle have unarguably stood the test of time .So although all polls like this one have their limitations, because inevitably, one tends to be comparing apples and pears, the results seem to me to make sense. Having said that, my own feeling is that the best classic whodunit of all wasn't even on the shortlist. My choice would be another Christie novel - And Then There Were None. It's not unfair to call Death Has a Past a Forgotten Book, nor its author, Anita Boutell, a Forgotten Author. I had never heard of either of them until I saw a copy of this book in a dealer's catalogue, at quite a hefty price. It was snapped up quickly by someone, and the plot summary seemed intriguing. So I tracked down a cheapish paperback copy to see whether the nice concept was well executed. Short answer - yes, definitely. Boutell seems to me to be a real find. Death Has a Past was published shortly before the war, and I'm guessing that timing was against Anita Boutell in making a name for herself in the genre. Yet Milward Kennedy, Torquemada and other good judges admired her writing,and I can see why. Boutell was an American who obviously knew England very well,as the English background struck me as entirely credible.Otherwise, I know nothing about her life, and would be glad of further information. And what of her other books - are they as good as this one? And why did she stop writing? The set-up is this. Claudia Hetherton, a ghastly but rich woman, summons five female family members to her country home She hates them, and they have good reason to hate her. And there are various other hatreds within the group. We know from the start that one person is shot, and that the culprit commits suicide and writes a short confession. But who shot whom, and why? Boutell maintains the tension very well. This sort of story can become irritating, with lots of neurotic characters getting on each other's nerves, but on the whole she avoids that mistake, and there are several pleasing plot twists. The ending was not what I expected, and I needed to read it again carefully to figure out exactly what had gone on, and to appreciate the subtlety of the wording of the confession. I enjoyed it, and I can recommend it as a rather refreshing book with a difference. There's a good deal of exciting contemporary crime fiction being written these days, but I'm equally excited by the way that advances in publishing, including but not limited to the digital revolution, have made a great many wonderful books from the past available for 21st century readers. A splendid new example is The Death Cap, by R.T. Campbell, just published by Lomax Press,a very interesting independent publisher based in one of my favourite places in Scotland, namely Stirling. 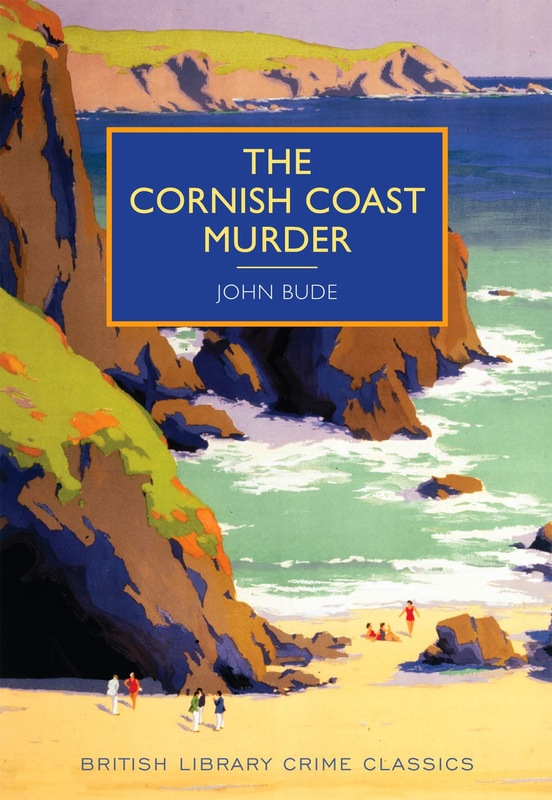 The title, a play on the judge's black cap, and a form of deadly mushroom, is one that was considered by Robert Eustace and Dorothy L. Sayers for their joint novel, a few years earlier. They rejected it in favour of The Documents in the Case, but I think The Death Cap is a better title. This book has an introduction by Peter Main and extensive annotations. 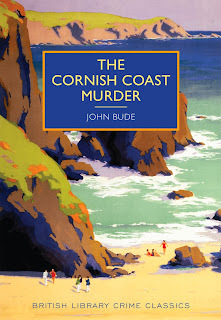 It's beautifully produced with great jacket artwork, and is available in a limited edition of 300 copies. My copy arrived just today, and I'm really looking forward to reading it. Margot Kinberg, whose admirable blog will I'm sure be known to everyone who reads Do You Write Under Your Own Name? has done a great job in putting together In a Word: Murder, an anthology which is designed as a tribute to another fine blogger,the much-missed Maxine Clarke, alias Petrona. Proceeds go to the Princess Alice Hospice, which cared for Maxine during her illness. This seems to me to be a great idea and very fitting. I have a long-standing connection with the hospice movement in the north west of England, and coincidentally I'm discussing a literary project with one of the hospices local to me at the moment. To my mind, there are few worthier causes. Margot suggested that contributions to the anthology might touch on subjects close to Maxine's heart, and this gave me the idea for a storyline connected with....blogging. At about the same time, I had a very enjoyable trip to Whitby, and that provided me with a highly suitable setting for the tale that was buzzing round in my mind. The result was a brand new short story called "The Killing of Captain Hastings." It's a more light-hearted piece than many of my stories, and I had fun writing it. This is the great joy of having the opportunity to write a short story for an anthology or magazine - part of the pleasure lies in the chance to do something a bit different. There are some very interesting contributors to the book, including, I was delighted to see, Sarah Ward, whose blog Crime Pieces is another must-read, and Elizabeth S. Craig, whose blog probably contains more helpful tips and suggestions for writers than almost any I've ever read. The other contributors include Paula K.Randall, Pamela Griffiths, and Jane Risdon. The book is now available from Amazon, and I gather that a print version will be available in 2014. Margot's hard work (and believe me, putting an anthology together is not as easy as it may look!) deserves the highest praise. I count it a real privilege to have had a story of mine included in a tribute to Maxine. Her kindness and astute critiques of the crime fiction scene will long be remembered by those of us who knew her. I've just caught up with the final episode of The Wrong Mans, a BBC 2 TV comedy thriller starring Matthew Baynton and James Corden, who were also involved in dreaming up the story of two innocent young men, Sam and Phil, working at the offices of Berkshire County Council (though only Sam was a council employee, as we were constantly reminded, Phil was simply based in the building). I've deferred commenting on this series until now because the comedy thriller is a very, very difficult type of crime story to pull off successfully, especially over half a dozen half-hour television episodes. Plots can become overly thickened, jokes can become very laboured. It began well, but I wasn't sure whether the same standard would be maintained to the end. Happily, it was. What was striking about The Wrong Mans was how well it overcame the usual obstacles and maintained my interest throughout. This is a sign of very strong writing. Baynton and Corden make a very engaging pair of heroes, who innocently stumble into a complex conspiracy involving such diverse elements as double agents and high speed rail. Emilia Fox was a suitably sultry temptress who was lined up with the Bad Guys, and there were a host of funny moments. I also liked the nods to other thrillers - one or two Hitchcock-style scenes, for instance. The very last scene suggested that there will be a follow-up series. I hope so, but it will have to be good to match the success of this one. Whether the writers' inventiveness will flag or not, we'll have to wait and see, but in the meantime, I can recommend this show to anyone who hasn't seen it and could do with a bit of light relief. Dead Man's Folly, the second in the current series of Agatha Christie's Poirot, was based on a novel from the 50s, when the Queen of Crime's work was rather more variable than it had been a few years earlier. The book has some delicious elements, although the solution has always struck me as rather contrived. The ITV version with David Suchet made the most of the story's merits, notably the marvellous country house and village fete settng. And to make things even better, a very good decision was taken to film the story at Greenway. Christie used her own home in Devon, and its marvellous grounds, in fictional form for the book, so this was a very appropriate homage. I was also reminded strongly of a marvellously sunny day last year, when I had the memorable experience of revisiting Greenway in the company of that great Christie expert John Curran. Zoe Wanamaker was an effervescent Mrs Oliver as usual, with Sinead Cusack very good in the important part of Mrs Folliat. The early scenes, when Poirot arrives at Nasse House and meets the house guests, and when the fete takes place, were very well done. As in the book, things faltered slightly after the discovery that a teenage girl has been murdered, and the suspects were not perhaps as strongly developed as they might have been. Overall, the screenplay was faithful to the original both in its strengths and its shortcomings, with a slight change to the ending. Verdict - not a classic,but good light entertainment. I've mentioned before Raymond Postgate's Verdict of Twelve, but I wanted to read it again before featuring it as a Friday Forgotten Book, and this I've now done. 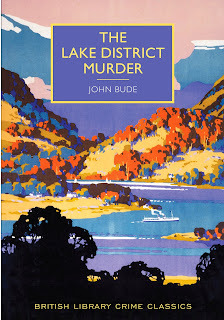 In all, I've read it three times - first in an edition with an excellent intro by Michael Gilbert, who selected some splendid crime classics for a series published by Hodder. He is far from alone in admiring Verdict of Twelve. Postgate was the brother in law of G.D.H. Cole, but his novel was very different from Cole's work - it owed much more in its ironic style to Anthony Berkeley. The book has three parts plus an epilogue. In the first part,we are introduced to members of a jury about to hear a murder case. One or two of the jurors have dark secrets of their own, and Postgate provides a series of vivid portraits that I found gripping. One character, a dry academic, reminded me a bit of Douglas Cole, actually, though Postgate wisely made sure that there were differences as well as similarities in the man's CV and personality. The second part of the story tells us about the murder. But who is to be the victim, and who the killer? It's a rather grim story about cruelty to a child, and it has a literary inspiration that is not explained until the later stages of the book. Then comes the third part, which takes us inside the jury room,and shows how the debate about guilt and innocence shifts - often according to prejudice, rather than reason. If you are sceptical about juries - and I always have been - this book does nothing to make you share the view of such great lawyers as Lord Denning and Lord Devlin that the jury is an essential bulwark of freedom and justice. There is a nice twist in the epilogue, but I guess the big question about this novel is - what does it tell us about justice? Nothing comfortable, that's for sure. Postgate's Marxist take on things won't be to everyone's taste, but I enjoyed this book as much on a third reading as I did previously. I really must try again Postgate's two later crime novels - when I first read them, I felt they were a let-down, but maybe they are worth another look. In any case, Verdict of Twelve remains a must-read for any fan of classic crime.